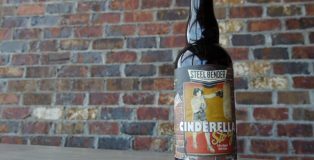 Beer pairing dinners are forcing their way into the spotlight, fighting for the same notoriety as the traditional wine pairing dinners many of us are accustomed to seeing. Whether it’s Valentine’s Day, New Year’s Eve, or another special occasion, a multi-course menu with a specific wine for each course is a welcome treat from any restaurant. Fort Collins’ Mainline Ale House takes this concept and turns it into something those of us in Colorado will be more receptive to—beer pairing dinners. 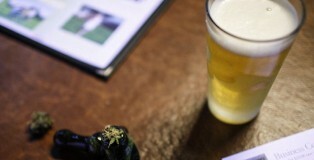 Mainline Ale House is Fort Collins’ answer to many of the gastropubs and taphouses across the country. Good food, a wide selection of beers and artisan cocktails and a casual environment make Mainline a popular spot for the craft connoisseurs and foodies in Northern Colorado. 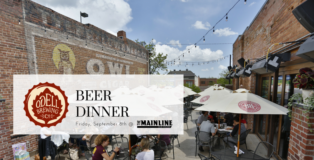 That is why Mainline has become notorious for their beer-pairing dinners, incorporating local breweries from Fort Collins and creating a menu that highlights the restaurant’s food as well as the beers created by the local brewmasters. 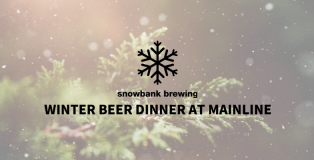 This Thursday, February 22 at 7 pm, Mainline will host one of these special beer dinner pairings with the team over at Snowbank Brewing Company. Whether you are a fan of beer, wine, spirits or a combination thereof, we can all agree on one thing: Pairing your drink of choice with a delicious plate of food is a wonderful experience. The culinary team at Mainline Ale House have taken it upon themselves to develop wonderful tasting menus that highlight the local beers of Fort Collins, Colorado. Pairing wine with food has been a long-standing tradition in the food and beverage world. 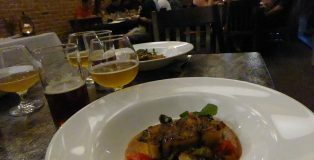 Fortunately for craft beer lovers, beer pairing dinners are becoming more commonplace in restaurants. Here in Colorado, some of the household names in craft beer are starting to branch out and begin the trend of beer pairing meals. 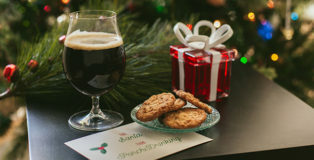 It’s that time of year again for Christmas Cookie and Beer Pairings! Our first edition of this pairing theme kicked off last year as you may remember, and I was very excited to bring it back for a second time this year. I was torn between sticking to all American brews for this year’s edition or if I should add some of those fantastic Belgian Christmas Ales in the mix, but then decided that this year’s version should be strictly All-American. 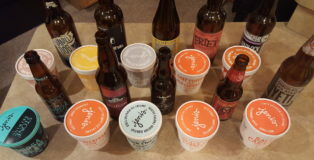 There were definitely some great options for pairing. Also, just like last year, I did some homemade cookies and some store-bought for those of you that like to bake and for those of you that would prefer not to. 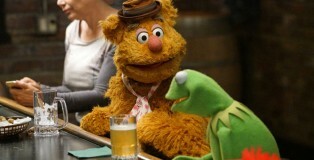 Now let’s get on to the goods! 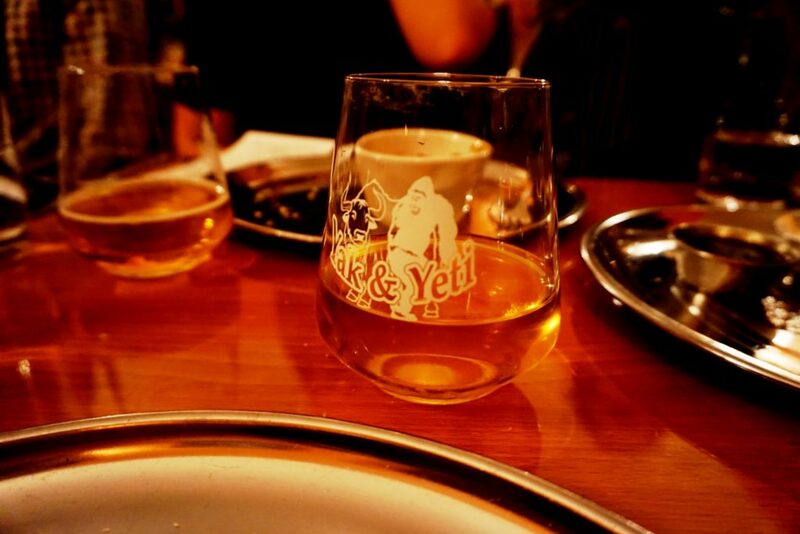 Yak & Yeti has been satisfying foodies in the Denver Metro area for more than 15 years with delicious Indian and Nepalese food, and in 2008 they began catching the eye of beer geeks when they first kicked off their in-house brewing program. 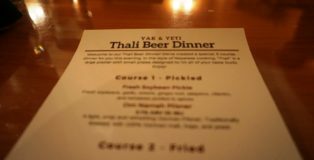 They have now created an event that will satisfy anyone who falls anywhere on the Venn diagram between culinary pro and beer fanatic with their Thali Beer Dinners, the first of which will take place Tuesday, December 13 at the Yak & Yeti Arvada Brewpub. 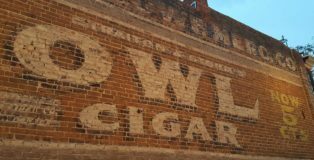 While Fort Collins has long been a beer destination of national stature, the emergence of the city’s dining scene has been a more recent phenomenon. 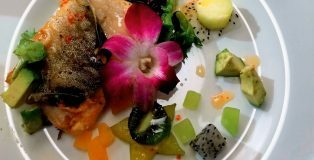 An expanding collection of well-received indigenous eateries, supplemented by an influx of offshoots of established restaurants rooted elsewhere in the state, has contributed to an energized local food culture. Treat Yo’self Day is an amazing concept bestowed upon all humanity thanks to Tom Haverford and Donna Meagle on Parks & Recreation. Treat Yo’self is not a holiday (officially) or birthday occurrence; it is just a normal day where you throw caution to the wind and indulge in any and all material pleasures you like. 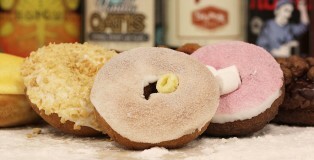 In honor of this concept, I decided to Treat My’self by combining two of my all time favorite things into a Craft Beer and Voodoo Doughnuts Pairing. 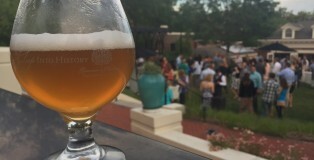 Imbibe Events and The Lobby hosted an intimate evening featuring five breweries and restaurants from the Denver Bacon and Beer Festival. The Denver Bacon and Beer Brewer’s Dinner paired five chefs and five breweries for a meat filled evening that didn’t not disappoint. 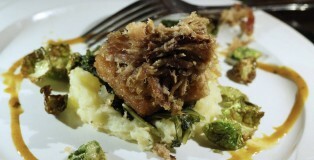 The Denver Bacon and Beer Brewer’s Dinner benefited Metro Caring and Project Angel Heart. Participating restaurants and breweries included Block & Larder, Euclid Hall, Second Home Kitchen + Bar, The Lobby, Max’s Wine Dive, Great Divide Brewing Company, Wit’s End Brewing Company, Call To Arms Brewing Company, Crooked Stave Artisan Beer Project, Spangalang Brewery and The Post Brewing Co.
“Avengers: Age of Ultron” is finally here! 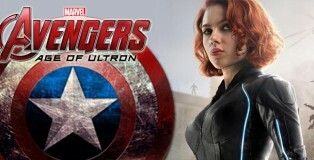 It’s no secret that, like Cap 2, “Winter Solider,” this storyline will shift the Marvel Cinematic Universe as we know it. Alliances will fall. Will we lose a hero? How much chaos will be left in the end?